Portrait of David Garrick as Benedick in Act II, Scene 3 of Much Ado About Nothing. Published by J. Wenman. 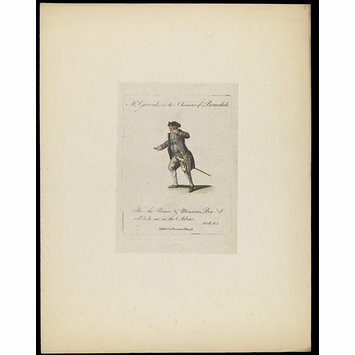 Full length, hand coloured portrait of David Garrick as Benedick in Act II, Scene 3 of Much Ado About Nothing. 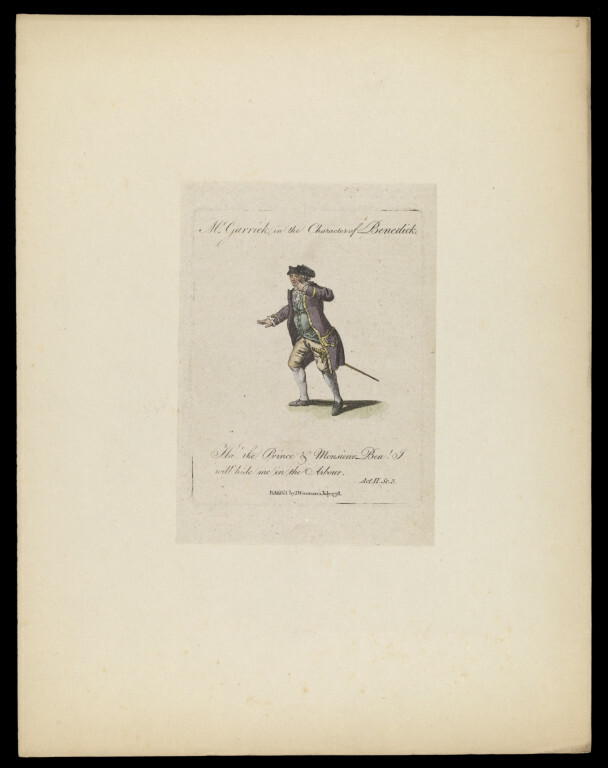 Portrait of David Garrick as Benedick in Act II, Scene 3 of Much Ado About Nothing. Published by J. Wenman on 1st July 1778, Harry Beard Collection.